The People’s Democratic Party (PDP), in Akwa Ibom State, has asked the Inspector General of Police to immediately arrest and prosecute Senator Godswill Akpabio for conduct likely to breach public peace and for a violation of Section 27(2)(e) of the Electoral Act. Addressing the press on Monday, the state Publicity Secretary of the party, Mr Ini Ememobong, said the party was in receipt of impeccable intelligence indicating a plan to attack and burn INEC offices in Ikot Ekpene senatorial district and its headquarters in Uyo. “This plan we learnt was hatched and sponsored by the out-going senator for Ikot Ekpene senatorial district, Senator Godswil Akpabio who is hell-bent on frustrating the announcement of the collated result of Essien Udim Local Government Area and the final result of the senatorial district. “Before the elections, Senator Akpabio, Obong Nsima Ekere, Ini Okopido, and other APC chieftains undertook the regular submission of frivolous petitions against top PDP members to necessitate their arrest by the police. To give a fillip to their plan, they facilitated the relocation of AIG Musa Kimo from Zone 6 to Uyo, so that immediately any petition from the APC is brought, he will instruct the CP to enforce the arrest of the PDP stalwart accused. “Last week, scores of PDP faithful were arrested and detained for no justifiable reason; even those with valid injunctions from the court were not spared. Captain Iniobong Ekong, Barr. Akan Affia, Godson Uwah, and many other strong PDP members were arrested. Many others who were targeted for arrest a few hours to the election escaped by God’s grace; people like Senator Bassey Albert, Obong Paul Ekpo, Rt. Hon Onofiok Luke, Engr. Uwem Okoko were on that long list. 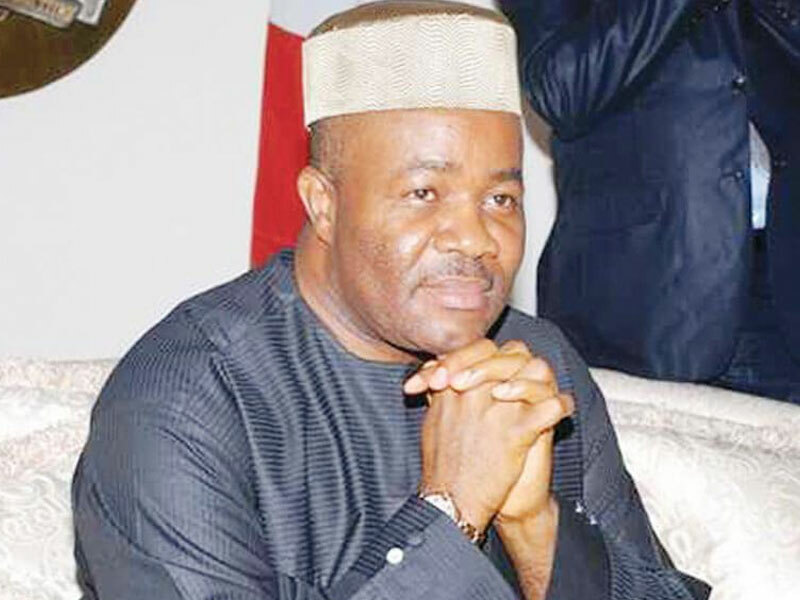 “Having seen the resounding rejection served him by his senatorial district on the election day, Senator Akpabio in company with the police and military men stormed INEC offices in the federal constituencies of his senatorial district in an attempt to influence the electoral officers to change results in his favour. But he failed in that respect. “When accosted by foreign observers who sought to monitor the collation, his thugs harassed the observers and chased them away,” PDP said. PDP alleged that in the last 24hours, Senator Akpabio had tried calling its collation agents and promising them huge financial inducement, using military intervention and many other conceivable means of defeating the will of the people which they said was expressed freely through the ballot. “Last night, he held a victory party at his residence in Ukana, Essien Udim, where he declared himself the winner of the elections, against the provision of Section 27(2)(e) of the Electoral Act which provides that the returning officer shall announce the result and declare the winner at the senatorial collation centre. “It is therefore unlawful and illegal for Senator Akpabio to announce himself as the winner. “The truth is that collation of results has been done in 9 out of 10 local government areas in Ikot Ekpene senatorial district and three out of four of the House of Representatives seats declared by INEC as having been won by the PDP with a wide margin of more than 60,000 votes. The only LGA left is Essien Idim, which INEC is currently working on. The PDP also said the IGP and the entire security apparatuses of government must engender public confidence about their neutrality and must show that no one is above the law even as all institutions of state must depart from partisan tendencies as it is a great threat to the sustainability and growth of democracy. Several calls placed to the Chairman of All Progressive Congress (APC) in the state, Ini Okopido, to let him respond to the allegations raised by the PDP were not responded to. Even the spokesman of ex-Governor Godswill Akpabio, Anietie Ekong, did not take calls put to him and did not respond to text messages sent to him after.